Congratulations! You're now living in one of the most exciting regions of the world, where your quality of life and that of your family will be second to none. You're so fortunate because you have many opportunities for travel, to experience the fascinating and rich culture and heritage, to work hard and play harder...and to get ahead, financially speaking. One of the only things to beware of is that life in Dubai and the UAE can become so good, you may never want to leave! Here's how one long-term resident explains it: "Be it the pink velvet light of the sunrises, the haunting sound of the dusk call to prayer, or the warmth of the people you meet, there’s something about the UAE that gets under your skin and makes you never want to leave." If you want to make the very most of your time abroad, it will be important to take control of your financial situation, and ensure your tax-free salary doesn't get entirely blown on your fabulous new life! So, let's jump right in - and if you’re looking for financial advice in Dubai, the most important thing is to find a highly qualified professional, backed by an organisation you can trust. Do not assume the rules and regulations governing the giving of financial advice in Dubai are the same as they are 'back home.' Tread with some caution. This article covers every scenario and issue you need to consider. Follow your instincts when deciding whether or not to work with a potential financial adviser. Remember, they work for you and should always operate in your best interests. Make sure you find a financial adviser who values you as a client and who is fully transparent in terms of the service they deliver for the fee they charge. Above all else, don’t be afraid to ask questions. 3) Take the time to explain all your options, so you can make fully informed decisions for the benefit of your financial future. On this page, we answer some of the most frequently asked questions about financial advice in Dubai, wealth management for international executives and what good financial planning looks like. However, if you just want to connect with a chartered financial planner for financial advice, please contact us for a free, no obligation initial consultation, and we will do everything we can to help. Financial planning and advice are core elements of our business, namely wealth management. We know that successful wealth management begins from a detailed understanding of each individual client’s position, and that is achieved through the financial advice and planning process. We offer comprehensive wealth management solutions for those who are seeking expert support to grow and protect their assets. In addition, we also consult on the different aspects of any individual’s overall wealth strategy. For example, we could assist with just pension refactoring, or simply your investment management needs. Therefore, whatever your current financial requirements, please do get in touch to discuss them with one of our chartered financial planners. We will always do everything we can to help you. If you’re living in Dubai, you’re enjoying a tax-free lifestyle in what is arguably one of the best places to live in the world. You have so many opportunities – to travel, relax, socialise, career progress…and to advance your financial standing. But, perhaps like the many international executives we assist, you’re extremely time restricted when it comes to getting your finances in order. Chances are, you know you have a wealth of opportunity open to you for the banking, saving and investment of your money, but perhaps you’d like a professional to take the burden of money management off you? If this sounds like you, just be aware that in Dubai, anyone can call themselves a financial adviser or planner, regardless of whether they have relevant skills, qualifications and experience. There are salespeople, whose interests are not necessarily aligned with their clients’, as they receive commission payments for products and solutions they sell. And then there are fiduciaries who charge a fee, and whose interests are intrinsically aligned with their clients’. However, both may go by the same professional moniker. This of course begs the question, how can you choose well. Here’s a checklist you can use, it’s free to download, and it detail everything you should look for to ensure your financial adviser in Dubai has your interests at heart. Financial advising is the process of educating, guiding and recommending, undertaken by an educated financial professional, known as a financial adviser, or advisor. Financial advice may be independent, where, in theory, an adviser is able to make recommendations about the products or providers you should use from the entire open marketplace. Advice can also be ‘tied’ - which means the adviser is restricted to perhaps one provider’s products and services. An example of a tied adviser is a financial adviser employed by your bank. It’s important to note that the rules and laws, regulations and authorisations governing financial advising differ from country to country. And in some countries like Dubai for example, anyone can call themselves a financial adviser whether they are actually a financial professional or not. In the UK, there is a rule that ensures anyone advising about money acts as a fiduciary. That means, they are legally obligated to put their clients’ needs first. You might assume that that is the case for all financial professionals elsewhere in the world, but it isn’t. As a result, if you decide to take financial advice when structuring your financial plan, ensure your adviser is a fiduciary, like a chartered financial planner, who is obligated by their professional status to put your needs first. What is the definition of financial planning? Financial planning is an ongoing process that helps you make well-informed decisions about money. It’s a process you can follow to achieve your life’s goals. Financial planning isn’t just about making sure you have a pension, or an emergency fund however. It should cover every bit of your financial life: from managing debt to building wealth, from making sure you’re well insured, to protecting your children’s inheritance from the taxman. As a process, financial planning involves things like getting a will, thinking about how your family would manage without your income if you were to become ill, and even forecasting how you’ll spend your income in retirement, so you work out when you can afford to retire. None of these elements should be looked at in isolation when making a financial plan…they all interlink in the overall financial map of your life. Anyone can create their own plan, but people who have complex needs or goals may want to use a professional financial adviser to help. Planning around your finances is an ongoing process that lasts your lifetime. It may begin when you receive your first pay cheque, or when you take out a mortgage and need to plan how you’re going to pay it back! As you live your life, and opportunities and challenges present themselves, so your financial plan will need to be adapted and honed on a fairly consistent basis. Financial planning will involve maximising the money you earn, saving and investing for growth and stability, setting money aside for your long-term ambitions - like a house purchase or retirement, and sometimes just juggling your finances to meet all your expenses. Every financial plan is therefore as unique as every person on the planet. A core part of financial planning is cash flow forecasting. That includes estimating the timing and amounts of cash inflows and outflows over a specific period. And cash flow forecasts can factor in different scenarios, to help you make the best decisions for your wealth at any given time. For example, a cash flow plan for a retired person who has money saved and invested in pensions and funds might look at the tax implications of drawing different amounts annually. It could also look at whether it’s more tax effective to deplete inheritance taxable assets first, leaving pension funds ‘til last. Cash flow planning, or forecasting, is usually part of financial planning undertaken by a professional adviser for anyone with more complex financial decisions to make. The forecast is a financial illustration – that draws out your options, and the likely consequences of the decisions you could conceivably make. Why is financial advice needed by expats in places like Dubai? Financial advice helps you work out your short, medium and long-term financial goals, determine whether they are achievable, and if so how. The end result is you create a plan to meet all of your goals. Without financial advice and planning, how can you know where you want to get to, financially speaking – and how can you know what you need to do to get there? As an international professional, financial planning can have even more significance. There could be more risks you’re exposed to, financially speaking, now that you live abroad. And, there could be more opportunities open to you for the investment of your wealth. If you’re from country A, you live in country B, then you should bank in country C.
Banking offshore - that is banking in any country other than the one you live in – is one of the most sensible things you can do as an expat. It keeps your money outside your old home country’s tax net, it protects it from any economic or political threats that could arise in your current country, and as long as you choose a well-regulated offshore jurisdiction, it should mean your wealth is best protected. If you know how much you have coming in, what your outgoings are - including taxation if relevant - then you can ensure you live well within your means. Do not over extend yourself and get into debt, and have enough left over each month to save and invest towards longer-term goals. The secret of many millionaires’ success is simply that – living well below their means so they have excess wealth to save and invest for growth. If you monitor your household’s spending patterns, factor in tax planning and then create a solid budget, such prudent cash flow planning will see you spend less, keep more, and be able to invest for growth as a family. Through doing so you will be able to improve your overall financial wellbeing in the medium to long-term. If you have a family, their wellbeing will be of utmost importance to you. Planning for their ongoing and long-term financial security will therefore be a critical part of your financial planning process. You will want to factor in essential insurances – from health to life and critical illness. And you may want to put money aside for the education of your children, to help them buy a house or get married. Further down the line you may want to include estate planning in your financial plan, so you protect your family from the burden of death duties or inheritance tax when you die. Depending on your stage in life, your goals and your tolerance for risk for example, it may make sense for you to invest your wealth…as this will give you the strongest chance to enjoy greater capital growth. A complete financial plan will guide you to choose the right types of investments to suit your needs and goals. 5. Maintain standard of living. By building up savings with good planning, you will have an emergency fund should you need it, and peace of mind as a result. By getting essential insurances in place as part of your plan as well, you will ensure you can maintain your standard of living even if income is lost should a family breadwinner become unable to work. As you develop and build out your financial plan, your understanding of money, investing and the world of finance will improve. So few of us learn about money management in school, and so we will have to learn through doing. Build up your financial knowhow as you develop your financial plan with the support of your financial adviser, and you’ll be sure to make well-informed, intelligent decisions for the benefit of your wealth. You will be able to set measurable financial goals, analyse and review the effects of decisions you make, and understand your results too. Many people consider their home to be an asset, but it’s one that comes with liabilities – mortgage, maintenance, property taxation and so on. As you develop your financial plan, you’ll be able to determine the real value of any given asset less its liabilities. As a result, you’ll be able to focus on building assets that don't become a burden in the future. Unexpected financial events occur on an all too frequent basis! Having the money to hand to cover a broken aircon unit or a crashed car as part of your financial plan will prevent you being thrown off track by such a situation. Once you’ve depleted your rainy-day fund, you will have the savings mind-set thanks to your focused plan, and be able to save to build assets back up again for the next time the dog chews a hole in the sofa! As your wealth grows and your family also perhaps grows, it may become sensible to establish a professional and ongoing relationship with a financial adviser you can trust to help you achieve your goals. Your adviser will assess your current financial circumstances, develop a comprehensive plan customised for you, and ensure the more complex elements of financial planning – like taxation and estate planning – are well taken care of. Why is preparing a financial plan so important for international executives? Consider this: why did you move abroad? You’ll have your own very good reason, but somewhere behind your thinking there is very likely to have been a financial aspect driving some part of your plan. For example, perhaps you moved to get a better job? A better job often comes with a better salary. Or, it gives you the chance to progress within your chosen career – which will eventually lead to a bigger salary and/or benefits package. Perhaps you moved to have a better work life balance, so you can see more of your children? Or to earn more so you could fund private education for your children? To do so, maybe you’ve relocated to a country where the cost of living is less. Perhaps you just moved to earn a tax-free salary in Dubai so you can pay down old debt like a big mortgage, or maintenance to a former spouse. Now consider this: will you fritter away your bigger salary? Will you make the most of the tax-free aspect of your wages? Will you embrace the opportunity to bank offshore and have access to a wider range of savings and investment products, and even mortgage and lending products? In other words - how will you make the most out of your finances during your time abroad? Everyone needs a financial plan – from the day you receive your first pay packet you need a structure around your financial life to keep you from getting into debt, wasting opportunities, and creating financial stress in your life. Preparing a financial plan is critical to your short, medium and long-term financial wellbeing. And your financial wellbeing is central to your overall peace of mind. Therefore, preparing a financial plan could be said to be the most important thing you do this month or year – for your overall, ongoing and long-term wellbeing. Financial planning is a core element of the financial advice process. As an international professional, comprehensive financial planning involves a few additional areas. One of the best routes to strong budgeting - and ultimately to stress reduction - is to prepare a cash flow plan. It will help inform your spending and savings decisions - and importantly, flag up future problems before they arise. Your cash flow plan will take into account your income, assets, outgoings, and other present-day information, and predict your future cash flow in order to predict how much money you’ll have coming in and going out at any given point in your life. Your forecast will help you plainly see expenditure, so you can better plan. The aim of cash management like this is to help you feel more confident about your finances, and have sufficient disposable income to enjoy throughout life – i.e., so you balance spending today - and then saving for growth for your future income needs. An additional benefit is that many cash flow forecasts created by professional financial advisers will help you spot potential shortfalls or issues before they occur. If your plan anticipates future difficulties, such as not having enough to retire on, you’ll have plenty of warning to make alternative arrangements – like cutting spending and investing more today, so you can retire sooner and on a better income. A strong side benefit of having a solid cash flow plan is that you demonstrate effective budgeting - which may give others confidence in your financial management, thus potentially helping you secure loans, funding, mortgages or overdrafts. And then we create your financial roadmap for your future prosperity. Are you one of the so-called sandwich generation? Someone, like at least one million Britons for example, who is financially responsible for both younger and older family members? If you have a single or dual financial responsibility as an expat, it’s critical to consider how your loved ones would cope if you were to suffer an incapacitating illness or even die. There are very few countries in the world with as generous a social support system as the UK’s. And fewer still where foreign residents are eligible for financial support in times of hardship. As a result, you need to think not just about growing your wealth, but also about protecting your family with insurance. There’s a range of insurances and protections available that can help cover your family and give you the peace of mind that your loved ones will remain looked after, no matter what. In some scenarios, protecting before investing may even make the most sense. Your financial plan will help you determine your priorities, and how best to meet obligations and challenges to ensure your loved ones’ security is protected. Having worked hard to build wealth and security for yourself and your family, the last thing you want is for an over-eager taxman to come along and rob your beneficiaries of what’s rightfully theirs when you pass away. The fundamentals of estate planning and wealth protection or preservation need to be included in any financial plan – no matter how much or little you believe you’ll have to leave behind. Inheritance taxes are only one part of the problem – as an expat your estate may be at risk of unfavourable laws of succession in the country in which you now live – or hold assets. Dubai is a classic example where the laws of succession are unfavourable for most expats. A solid financial plan focuses on protecting your wealth for today, tomorrow and your future generations. When we, as financial planners work with you on your financial plan, we will look at estate, gift, and generation-skipping transfer taxes (as well as the income taxation of trusts, estates, and beneficiaries) for example. We’ll cover strategies for making of present and future interests, the effective use of assets providing death benefits (e.g., life insurance, commercial annuities, qualified retirement benefits etc.) The use of family businesses and investment entities as estate planning tools, the use of non-charitable actuarial techniques (e.g., qualified personal residence trusts and private annuities) in estate planning, valuation planning and estate freezing techniques. We can even consult on post death estate planning issues and about providing liquidity in an estate. Investment planning is the process of matching your financial goals and objectives with your financial resources, and it’s a core component of financial planning. As a process, investment planning begins when you’re clear on your financial goals and objectives - it helps you match your financial resources to your financial objectives. There are quite literally thousands of different investment paths you can take as an expat…by helping you set out clear and measurable goals, your financial planner can match the most suitable mixture of investments to each specific goal in the most efficient way. Retirement is one of the most important life events many of us will ever experience. From both a personal and financial perspective, realising a comfortable retirement is an extensive process that takes sensible planning and years of persistence. Even once it is reached, managing your retirement is an ongoing responsibility that lasts throughout your life. While all of us would like to retire comfortably, the complexity and time required to build a successful retirement plan can make the whole process seem daunting. However, retirement planning can often be done with fewer headaches (and financial pain) than you might think – what it takes is some homework, an attainable savings and investment plan, and a long-term commitment. Arguably, opening an offshore bank account is the most important step for any expatriate to take when managing wealth. Keeping your money in a country other than the one in which you live means if anything happens, you know your money is being held securely in another location. Keeping your money outside your old home country too will help you avoid paying taxes unnecessarily. Another benefit of having an offshore bank account is that if you move countries again, you won’t have to move your money from one country to the next – because that is a major inconvenience. As an expat, by banking offshore, you can have all your assets arranged in one place. Linking the above 6 elements of financial planning together is tax and trust planning. Don’t overlook your tax burden when planning your finances. So, you’re looking for financial advice in Dubai…and Dubai is income tax free, however you may be exposed to taxation in the future depending on how your portfolio is currently structured, and what your future plans are. It’s also important to consider whether international trusts have a role to play in helping you manage your wealth. Whilst taxation is a fact of life, there is no law in any land that says you must pay more than you owe! And yet, that is what so many expats end up doing, simply because they have failed to plan effectively, or perhaps don’t even understand their liability for tax. If you’re a British expat – or have assets in the UK – your beneficiaries may be liable for UK inheritance tax for example - potentially on your worldwide estate. Your financial plan needs to look at ways you can legally mitigate your tax burden, so that excessive taxation doesn’t undermine your overall financial plan. Trusts can play a very important role in reducing tax liability – but because there are many different types of trust, it’s critical to ensure you have the right one in place…that’s where expert planning really could pay for itself. Establish your goals in life – your adviser will work to understand your short, medium and long-term ambitions. 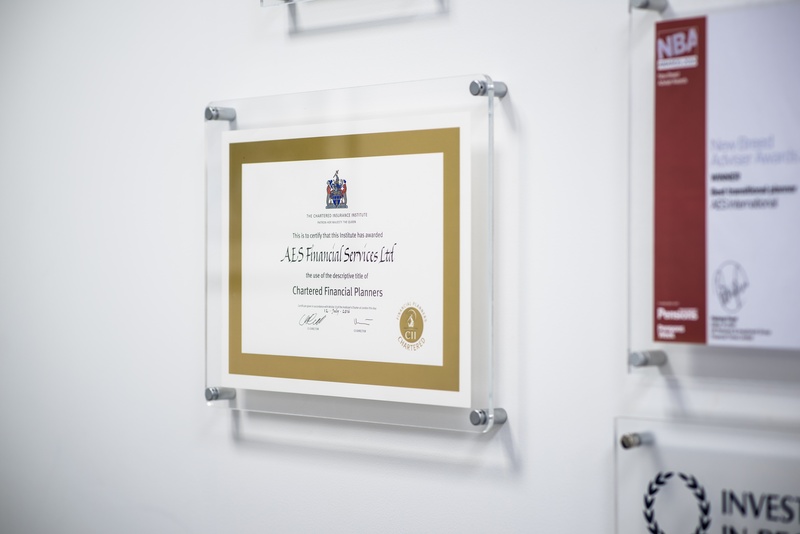 We believe in goal orientated financial planning at AES, to ensure you achieve everything you set out to. Work out your assets and liabilities – your adviser will list your assets and liabilities today, and using cash flow modelling, they will look at future potential scenarios to help structure your plan to grab opportunities and avoid problems. Evaluate your current financial position – how close are you to achieving your goals? Are you on track for any of your ambitions, are you opening yourself up to risk or excess tax? Your adviser will look at every scenario with you. Develop your plan – having determined your goals, identified any threats or opportunities, and with a thorough understanding of you, your financial planner in Dubai will create your road map for achieving each of your different goals. Implement your plan – once this map is discussed, honed and agreed upon, the plans will be put in place so you can make the changes needed and ensure your financial future is successful. Monitor and review your plan at least yearly and make adjustments when needed. Your adviser will review and rebalance your portfolio, and assess and adjust you plan as needed to ensure you remain on track for a solid and successful financial future. What is personal financial planning and personal financial advice? Personal finance is defined as the management of money and financial decisions for a person or family - including budgeting, investments, retirement planning and insurance. And therefore, as discussed, personal financial planning and advice covers each of these elements in turn. For expatriates, personal financial planning also includes considering offshore banking, the essential international insurances like medical insurance for example, and is arguably more important a process to commit to because of the increased risks and opportunities you’re exposed to. This is of particular relevance to anyone looking for financial advice in Dubai, where rules and regulations differ greatly, and there is the risk of obtaining opinions of salespeople, rather than the qualified advice of professionals. There is no rule that says you have to seek professional advice, however. But if you do, it’s critical you choose your financial planner carefully, ensuring they are well qualified, and that the company they work for is correctly licenced and regulated. A business employing the services of a corporate financial planner may be able to offset their fees, but as an individual, it’s unlikely your personal financial planning fees will be tax deductible. We are not taxation experts however, and because tax rules differ on a country-by-country basis, it would make sense to ask an accountant for advice about whether – in your personal circumstances – financial planning fees could be deducted from your tax liability, if you have one. Whether they are deductible or not, it’s important for you to weigh up the value to expense ratio of a financial planner’s fees. If a financial adviser in Dubai will add significant value to your overall financial situation, then surely their fees are worth paying. As a rule of thumb for expatriates, as corporate financial planners we say that there is no one who cannot benefit from good financial planning…but the most value is gained by those with investible assets in excess of £250,000 (or currency equivalent.). Significant value is also gained by those who have complex financial planning needs…but as an individual, you will need to weigh up whether paying for an adviser to help you will make a positive discernible difference or not. 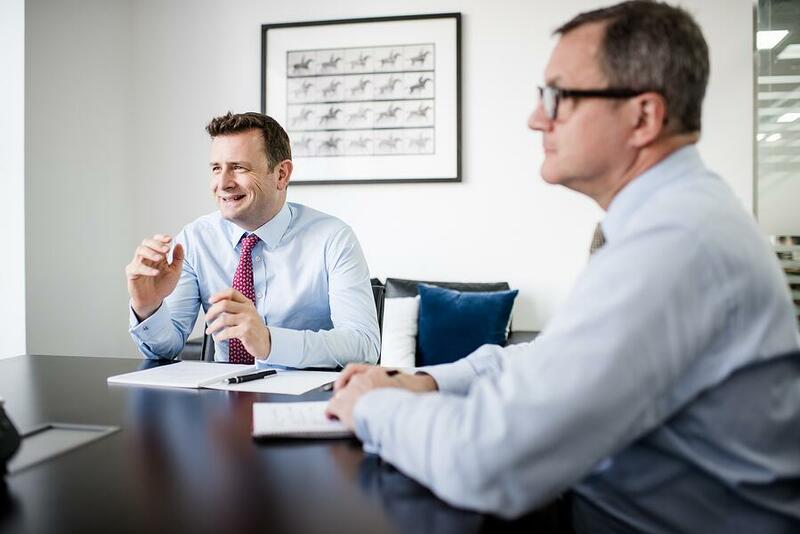 If in doubt, we offer a free initial consultation during which we will advise whether we believe we can help you or not, what our help might cost, and whether we can add value to your portfolio over and above any fees. Quite simply, it is not in our interests to sign any client if we cannot help advance their financial position, therefore we will always be honest about whether we can increase your returns and improve your portfolio. What’s more, there are excellent options available for those with less than £250,000 to invest, or for whom financial advice is not financially beneficial at this time. For example, the Index Account™ - which is a low cost, flexible and easy way to invest yourself. The Index Account™ is simple to use, and ideal if you want a better way to grow your money. You get a fully diversified investment portfolio appropriate to your tolerance for risk and investment objectives, and we can talk through your options when you contact us. However much you know about money and investing already, and however confident and competent you are at your own wealth management, it pays to have an objective expert with your very best interests at heart. And when we say it pays, we mean it literally pays. Research from Vanguard has shown that as well as giving you peace of mind, a good adviser can add about 3% a year to your net investment returns. What are the fees for financial advice in Dubai? Unfortunately, the vast majority of those offering their services as financial advisers in Dubai are actually salespeople. You can easily differentiate in the majority of cases, because salespeople do not charge a fee for their service, they instead take large, often hidden commissions and perhaps even ongoing charges from their clients’ investment solutions. Depending on the product they sell, the provider they choose and the amount of money their client entrusts them with, their commission payments can be as much as 12% up front. This has an immediate and ongoing impact on an affected investment, and can scupper the best laid financial plans. Of course, it could be alleged we would say this, after all, we charge a fee for our financial planning services, rather than taking a commission…so perhaps, we aren’t being fair by saying those who offer their services for free don’t necessarily have your best interests at heart! Therefore, in the interests of fairness, we recommend you download and digest this free guide, have a look at our fees page, and get in touch for a free, no obligation consultation so you can decide whether we’re the right people to offer you wealth management services and financial advice in Dubai. If you’re seeking regulated financial advice in Dubai, and you’d like to use the services of the highest qualified professionals, you need a chartered financial planner. You can search the Chartered Insurance Institute’s database in the UK for a chartered financial planner who works in Dubai. AES International is a fee-based wealth management and employee benefits organisation, looking after international executives, non-doms and companies around the world, and applying the best ideas in finance to deliver better results - nothing less. It offers award-winning financial advice in Dubai. As an organisation, we take our responsibility to improve you and your family’s outcomes seriously, because we know your money represents your hard work and sacrifices, your hopes and dreams for the future. AES International also advocates education first, and we help you learn both the wisdom and the secrets the traditional industry doesn’t want you to know. Our reputation has been built on deep expertise, by applying academic research, scientific process and evidence to our work; we call our mission Positive Change - for which we have been commended by Richard Branson and The Economist. AES employ a team of highly qualified Chartered financial planners and Chartered Wealth Managers in Dubai. 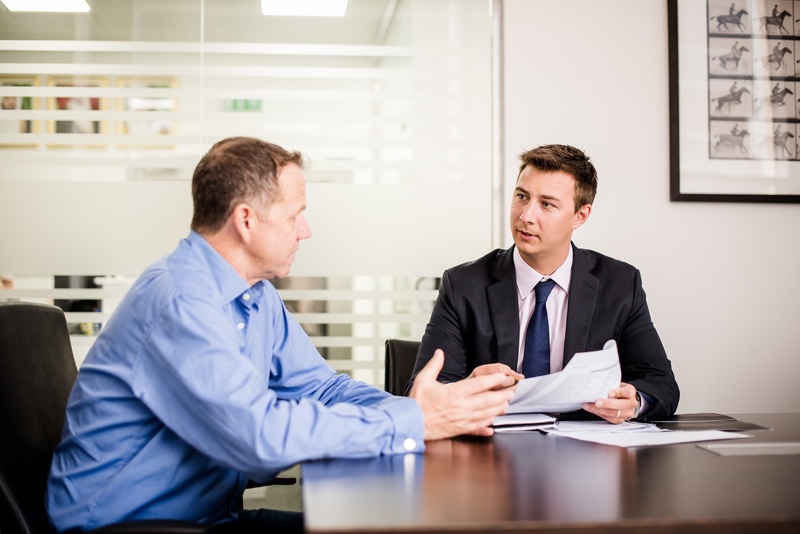 Additionally, we employ pension transfer specialists and retirement planning specialists authorised by the Financial Conduct Authority, and can draw on expertise covering every single element of finance – from lenders to private banks. To discover whether AES is the right partner for all your financial advice needs, request your free initial consultation today, without any obligation whatsoever. Helping you sleep at night by giving you financial security and peace of mind. Simplifying complex matters, making finance accessible and understandable. Getting you better results and reducing costs. Delivering employee benefits, like medical insurance and pensions, that are valued and valuable. Teaching everyone how to understand money management. Helping you leave your children enough money to do something, but not so much they to do nothing. Protecting you from investment opportunities that sound fantastic - but which contain hidden risks. Acting as your independent third party sounding board to help you evaluate your options. Minimising the taxes you and your children pay. Giving you expected returns likely to beat over 90% of professionally actively managed money, by taking a passive approach to investing. The evidence shows passive beats active over 90% of the time. Ensure the financial adviser you choose is independent and not limited to recommend solutions from a restricted number of products or providers. Ask to see testimonials and recommendations from satisfied clients. Ensure your financial adviser in Dubai has suitable qualifications. A chartered financial planner has the most widely accepted ‘gold standard’ of qualifications available. Does your financial adviser put your financial objectives first? How can you be sure, because you need to be sure? If they are not charging you a transparent fee for their services, they are being paid by commission – what’s to stop them placing your money in the product and with the provider that pays them the most? Look for a fiduciary, not a salesperson. Whatever designation your financial planner has, for example financial adviser or financial advisor in Dubai, ensure they charge a transparent fee, are professionally qualified and act as a fiduciary, putting your financial needs first. Does your financial adviser keep all lines of communication open and respond to telephone calls and emails in a timely and professional manner? Does your financial adviser have access to additional specialists if required – such as a private banking specialist, lenders or pension transfer or retirement planning specialists? Do you understand exactly what your financial planner in Dubai will charge, and what service you will receive for that charge? Do you feel you can trust your adviser? Whilst it’s unnecessary to become firm friends with your adviser, you need to be able to get on well enough so that a mutual relationship of trust can grow. If you feel nervous, uncomfortable, unsure or worried after talking to a financial adviser in Dubai, that’s an indicator you may not get on well. In Dubai, professional financial organisations are located within the DIFC, which is the financial hub for the Middle East, Africa and South Asia. It includes an independent regulator and judicial system. Ensure your financial adviser in Dubai is employed by a professional organisation within the DIFC. Finally, irrespective of whether you decide to seek financial advice in Dubai after reading the foregoing, and irrespective of whether you choose AES as your financial partner, please ensure you get a valid will in place to ensure that your estate is distributed in accordance with your wishes, and not those of the country where your assets are located.